The 1700mm B-Shaped Shower Bath & Curved Screen with towel rail, manufactured from high quality gloss acrylic to provide a modern look to any bathroom. 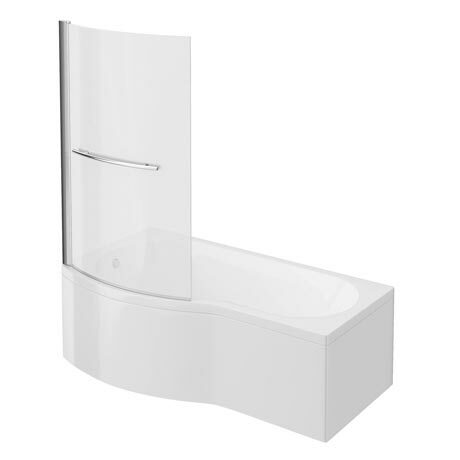 The curved screens are designed to complement modern curved bath designs, and provide the perfect solution where space is not available for a separate enclosure. If you want to make a statement with your bath design, then choose from our luxury collection. Available in Left or Right hand options. Taps, Bath End Panel (BBTEP) and any other ancillary items shown in photograph not included.